Looking for an uplifting and encouraging fitness environment? Join the Infinity Martial Fitness family in Lebanon! Our revolutionary fitness program offers an all-encompassing approach to health and fitness. Fitness, nutrition, and self-defense for men, women, and children. Everything you need under one roof — great for the entire family! Adaptive fitness programs are specifically tailored to burn more fat in less time as well as build muscle. Nutrition coaching and meal-plans are offered to allow you to work on both ends of the health equation. 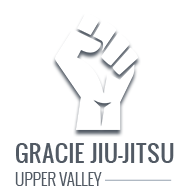 Gracie Brazilian Jiu-Jitsu — the most effective martial art program on the planet for self-defense — and kickboxing are fun, exciting, and functional ways to get in shape, reduce stress, and build confidence self-control. In addition to our world-class martial arts training and high-intensity interval training (HIIT) fitness boot camps. We offer active and fun all-day summer camps and host the best birthday parties in Lebanon. It doesn’t matter how old you are or what your background may be; we can empower you! Our goal is to maintain the highest standards in physical, mental, emotional, and social development, all while providing a fun and dynamic learning environment for you and your children. Although we are located at 45 Hanover St in Lebanon, we do cater to students coming from Hanover, NH as well as Norwich, and White River Junction, VT. Check us out today! Learn self-defense - before you need to use it. Safe, clean, and welcoming gym for all ages! Nick is patient and very knowledgeable! Being new to marital arts, this has been a great place to learn! Nick is patient and very knowledgeable, willing to take the time to ensure you are learning each move correctly. Everyone in the class has been very kind and helpful, making it easy for me to learn at my own pace. This class is also great for stregthening muscles and getting into shape. I’ve taken more responsibility for my health and life!